Blaze Manufacturing’s Andrew Johnson is flying high after picking up the ‘Rising Star’ award at the Aberdeen and Grampian Chamber of Commerce Northern Star Business Awards. 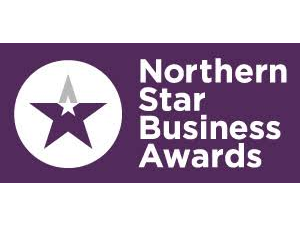 The Northern Star Business Awards are the Chamber’s annual awards evening which recognises companies around the North-east for exceptional accomplishments across a range of markets. The Rising Star award is given to an individual employee who has shown outstanding potential and has made a major impact within the company. Andrew, who at the age of 24 holds the Head of Research and Development post at Laurencekirk-based Blaze, is involved in developing new technologies and services for introducing to multiple market sectors and has most recently been working on the Flex-Flo project for the oil and gas sector. 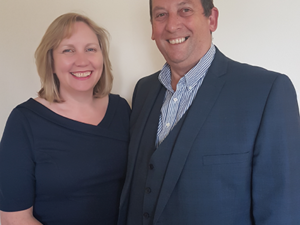 The youngest son of Blaze owners Howard and Ann Johnson, Andrew started working for the company straight from school aged 18 and has successfully worked his way up as a result of hard work and his determination to challenge established products and processes. 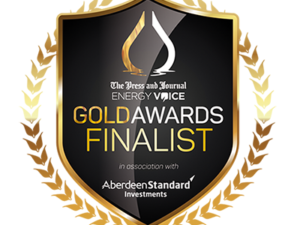 This has resulted in Blaze becoming renowned for innovation, winning the Energy Industry Council Supply Chain Breakthrough Award in 2016 as a result. Andrew, who recently became a father for the first time, said, “I am thrilled to win the Rising Star award. “Being the son of the owners hasn’t meant I have had things handed to me on a plate. In fact, quite the opposite. I have had to work harder to prove myself and earn the trust and respect of my colleagues. 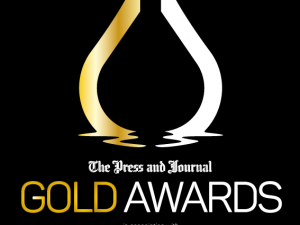 The winner was announced last night (Thursday 5 October) at the awards ceremony at held at the Aberdeen Exhibition and Conference Centre.